Filmmakers at Google hosted director Amma Asante at the Googleplex for a talk to discuss her 2014 Fox Searchlight film, "Belle". This film was inspired by an 18th century painting of Dido Elizabeth Belle and her role in shaping the end of slavery in England. Clennita Justice, Engineering Program Manager of Google Play, is the host. Be sure to check out "Belle" in theaters now! The economist and Financial Times journalist on what surprised him most when he chaired the review into UK equity markets and what needs to be done to change the way things work in the UK financial services industry. Dit leermiddel belicht aan de hand van een YouTube-fragment vier verschillende manieren van opvoeden. 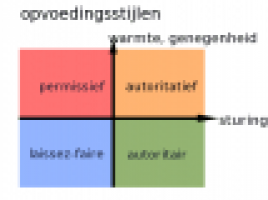 Het is de bedoeling dat de leerlingen de opvoedingsstijlen analyseren.